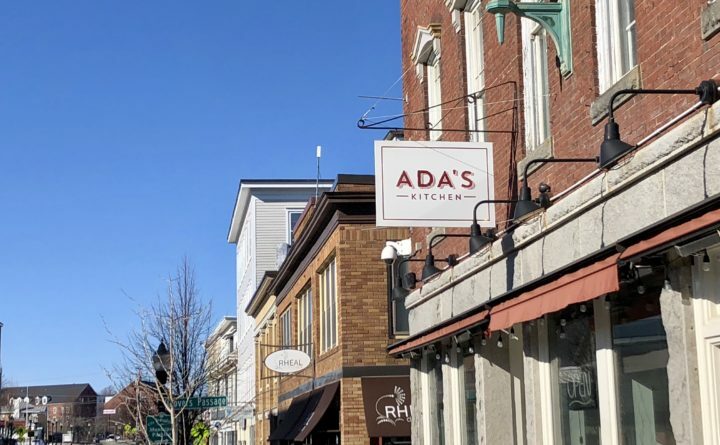 Ada's Kitchen in Rockland will open a second location in Portland this summer. When Maine transplant Jenn Rockwell decided to open Ada’s Kitchen on Main Street in Rockland in 2017, she wanted to create a restaurant experience that she felt the small coastal city really needed. Now, just a year and a half after opening the Italian-inspired Rockland restaurant, Rockwell is hoping she can offer something new in Maine’s largest city. A second Ada’s Kitchen location will be opening on Congress Street in Portland this summer. Work is underway on the space, Rockwell said. Initially a June opening date was the goal, but Rockwell said the restaurant will likely open sometime later in the summer. While the Portland Ada’s Kitchen will serve strictly Italian-fare — as the Rockland Ada’s Kitchen does — it will be much more casual, Rockwell said. The new restaurant will only offer counter service and serve freshly made pasta and Roman-style pizza. But Rockwell believes there is still room in the city for a more casual and affordable Italian eatery. The Portland location will also boast a retail aspect, allowing customers to purchase the restaurant’s fresh pasta to take home and cook for themselves. The talents of Ada’s Kitchen executive chef Siddharta Rumma is something Rockwell believes will also help set the restaurant apart. Rumma, who is from Rome, helped start the pasta department for Eataly, an expansive Italian market with locations across the county. Rockwell is comfortable pursuing new food ventures. She got her start on Main Street in Rockland when she opened Main Street Markets in 2015. The store features a small cafe and a retail side stocked with local produce, specialty pantry items, and beer and wine. Rockwell’s father, Rick Rockwell, owns a number of Main Street buildings, including the storefronts where Main Street Markets and Ada’s Kitchen are located. When deciding to open a restaurant in Rockland, Rockwell said she focused on making it a place that served the local community and not just summer tourists.